AnonD-132098, 01 Jun 2013Hello guys. Can anyone tell me which is a better phone? Nokia 110, 112 or c2-00?hey friends , In my opinion Nokia C200 Is better. 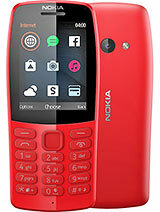 C200 has all features of nokia 112. We can't connect data cable in 112 but in C200 it is possible . .
Hello guys. Can anyone tell me which is a better phone? Nokia 110, 112 or c2-00? AnonD-150796, 30 May 2013does it support contacts backup and restore to memory cardYes, its backup items include contacts. NOKIA 112, 04 Mar 2013Time wasting. Any t.v software or live streaming does not support. No youTube also. Most games... moreYou r wrong I can download files fron UC BROWSER in memory card..with my 112..
in comparison to samsung E2232 it is useless E 2232 has a better camera and sharp sound. Sir tis phone has high speed internet? this is a good mobile i just purchased. very soft keypad, big sound, good camera result in light. sir wanted to know whether nokia 112 has the feature wherein even if i type second name of the contact, it searches for the same contact. Is this phone has voice recording???? is this phone support whatsapp ? This phone was built only for talking and texting and it does that exceedingly well without any compromises. Everything else is there just to fill up the spec sheet. Before anyone complains about poor camera and other low quality or missing features, please look at the price of the phone. For Rs.2500 what you get is a gem that does what a basic phone should do and its built like a tank too. I am using this as second handset and very happy with it. Btw the Dark Grey version of the phone looks much better than the blue one shown in gsmarena.